Customize Ticket Submission Forms. Collect Accurate Information. Drag, Drop, and Build Forms Your Way. Collect Only Relevant Information. 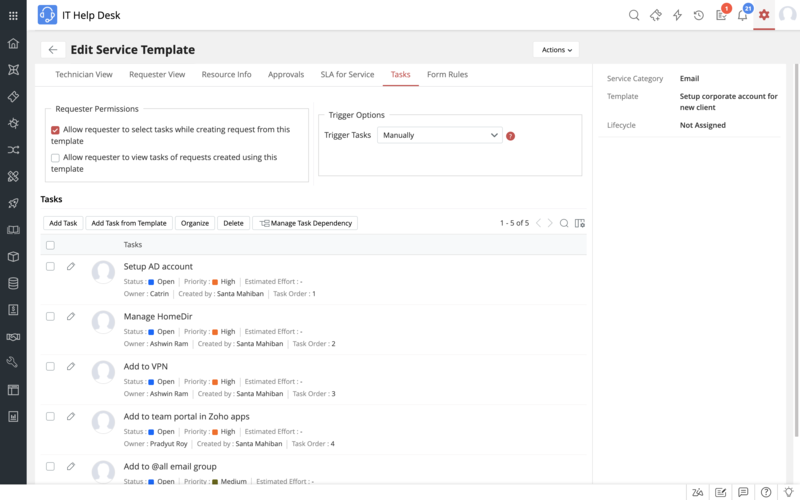 Create custom forms or ticket templates to handle incidents and service requests. Provide technicians and end users role-based access to specific custom forms. Link custom forms with relevant expert technician groups for faster assignment and ticket resolution. Configure and add various types of additional fields like single and multi-line text fields and pick lists, numeric, and date or time to your custom ticket templates. Add additional fields to custom forms using the easy drag and drop mechanism. 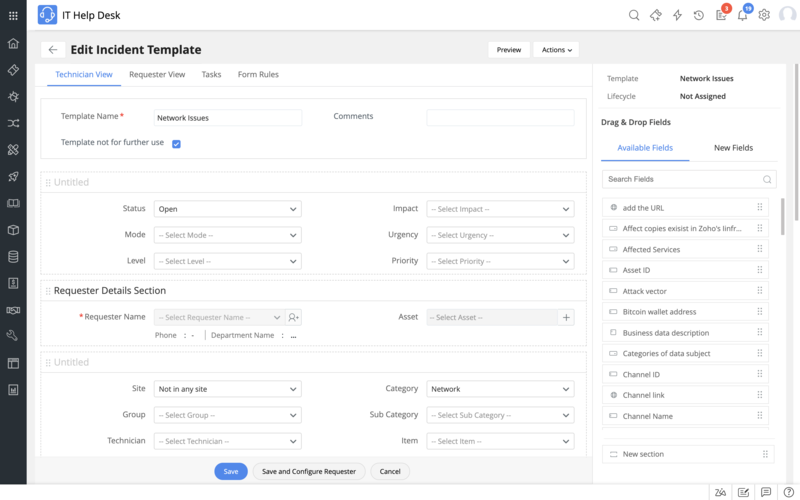 Design end user form view by configuring requester view and edit permissions for every field in the form canvas. Include Workflows in Custom Forms. No Programming Required. Associate tasks to custom incident forms and set dependencies. Configure automatic triggering of tasks when a ticket is created from the template. Enable multi-level approvals and associate service SLAs with custom service request forms. Extend form workflows using custom scripts and perform actions like enable or disable fields, show or hide fields, and mandate or non-mandate fields. A couple of our favorite features are request templates that allow us to almost 'dummy-proof' requests to make sure they go to the right person with the right information, and notifications that inform us of requests submitted even when we're away from our office without a wild goose chase.